Contacts page from HPC Gears. 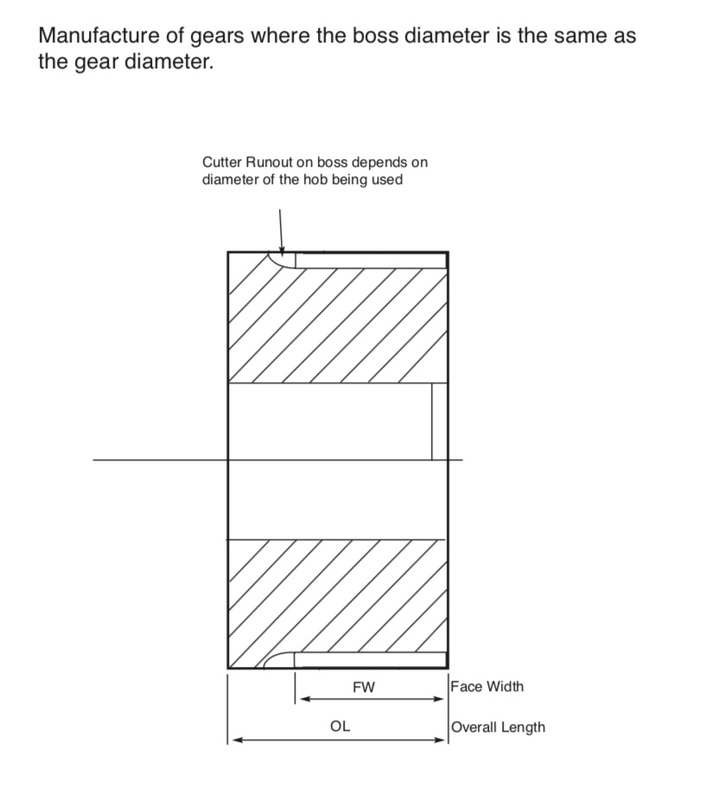 Rack & Spur Gear Indentification Guide + Mounting Distance Sketch. Boss diameter same as gear diameter. Note: All figures given are as a guide only and no responsibility is taken by HPC Gears Ltd for the use thereof. For confirmation of any values please refer to British Standards.